What are the most fundamental particles that make up the matter we see all around us? How do these particles interact with each other to create everything we know? These are the questions driving the field of high energy particle physics. By studying the answers to these questions we can gain insight and understanding into the creation and continual evolution of the universe. The experimentalists participate in a number of collaborative research studies with names like CMS and ILC. 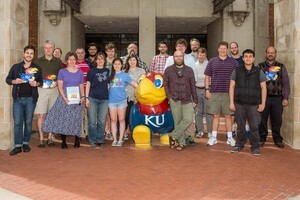 Professors, post-docs, graduate students and undergraduate students help build detector components, write analysis software, and look for various process signatures in the data. Theorists generate new ideas and predict new phenomena to investigate. 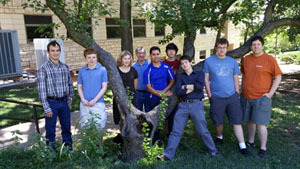 The high energy group is also involved in major education outreach activities, aimed at spreading an interest in physics and science to kids, high school students, and the general public.